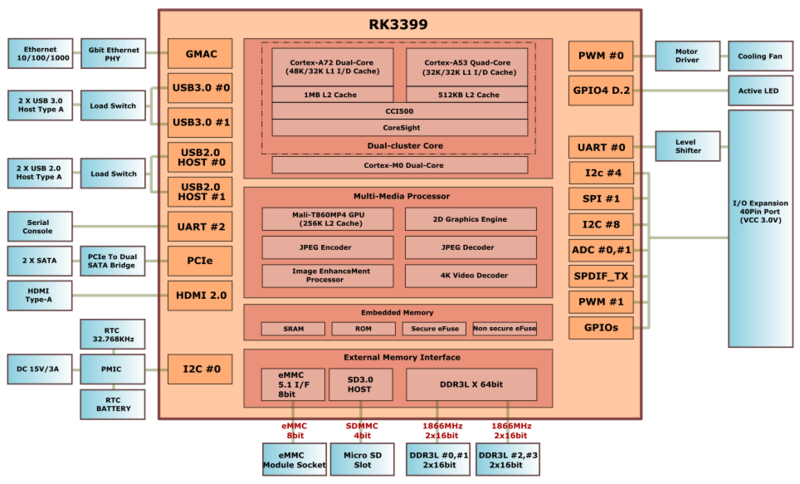 It’s official, there’s a bubble of Rockchip RK3399 boards announcements or launches in early 2018. After AAEON RICO-3399, Orange Pi RK3399, and Pine64 RockPro64, which add to 96Boards compliant Rock960 announced a couple a months ago, and which may launch in Q1 2018, Hardkernel has now announced they’ve been working on ODROID-N1 board. USB – 2x USB 3.0 host ports, 2x USB 2.0 host port. The company will officially support Ubuntu 18.04 or Debian Stretch with Kernel 4.4 LTS, and Android 7.1. Linux 4.14 has also been found to be working, except for some GPU/VPU issues, so a kernel update is possible/likely. Beside the specifications, it’s also interesting to learn why they made the board: as an upgrade to ODROID-XU4 / XU4Q (which will still be mass-produced). 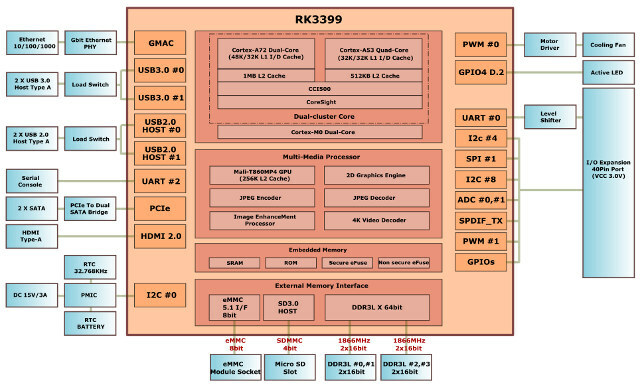 The company also looked at Amlogic S912 and Realtek RTD1295, but decided Rockchip RK3399 was the best match for the requirements of their community. Compared to ODROID-XU4, ODROID-N1 will come with a faster CPU & GPU, more DRAM memory, faster storage IO, and be more Linux friendly. As with the ODROID-XU4 family there will be an actively cooled model, and a passively cooled one with a bigger heatsink. The latter will work well for most people, but if you need to continuously run loads using all 6 cores at full power, the former will perform a bit better overtime. What may be disappointing if that we’d have to wait a few more months before availability. The company will send 30 engineering samples to pre-selected members of the community for a “Debug Party” to further test the board before mass production, expected in May or June. Price should be around $110, with the final price depending on the DRAM market price. 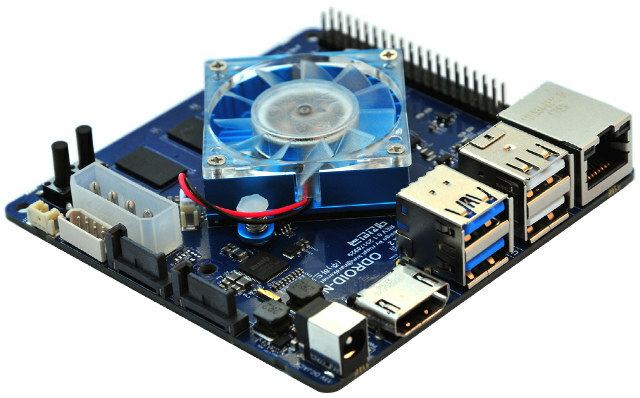 If the board is popular, an ODROID-N1 Lite version with 2GB RAM and no SATA port may be launched later on for $75. Thanks to Jerome, T, crashoverride, and Nanik for the tip.